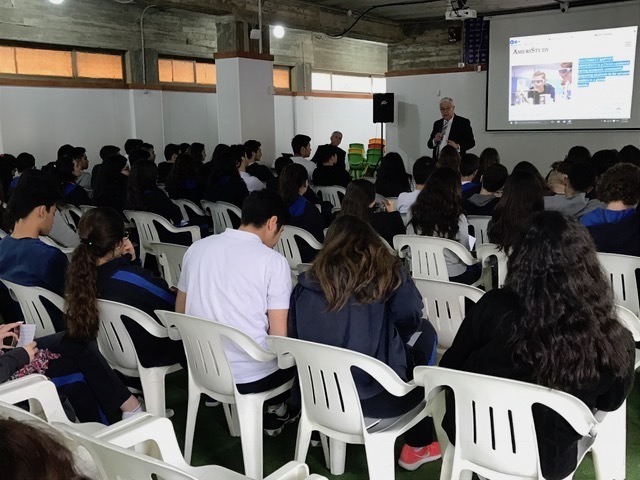 Dr. Pat Taylor, President of Southwest Baptist University (SBU), speaks to over 70 Juniors and Seniors at Beirut Baptist School in Lebanon. AmeriStudy, CGE’s international student recruiting program directed by David Bishop, provided this opportunity for SBU and Samford University to meet prospective students. AmeriStudy also provided an overview of all 14 AmeriStudy university participants.